NSN: 1095016169542 We have produced Kit Carson's popular M16® line in many variations over the past decade. Our glass filled nylon version has built the largest user base of all. These knives are built for function, not fad, and they are exceptional values. All three models are fitted with our exclusive patented* AutoLAWKS™ safety, which automatically makes them into virtual fixed blades when the blade is opened and locked. M16®-14ZLEK. 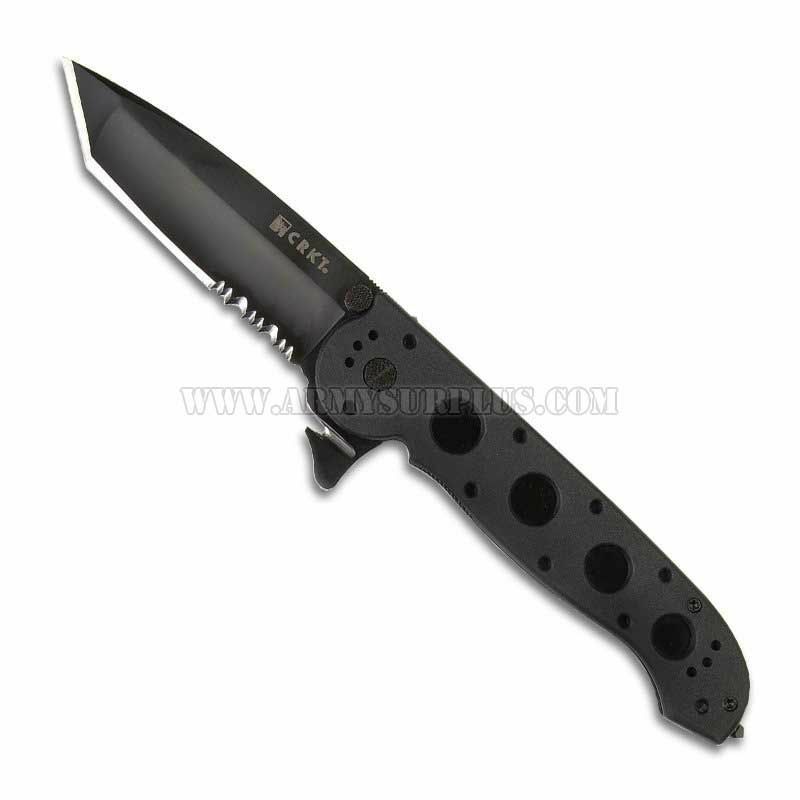 The ''Big Dog'' M16 is a hefty 6.2-ounce knife with a 3.75''- long Tanto blade that is able to tackle virtually any emergency task. This larger model features a four-position clip, allowing carry on belts or webbing— tip up, tip down, left or right. Please note: These knives are not designed for tip-up in pocket carry.